District Tehsildar has confirmed that the prasada was given by one of the devotees. 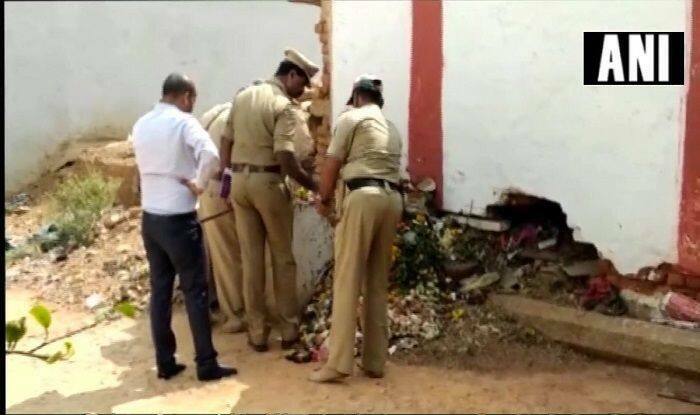 New Delhi: A woman died and six others fell ill after consuming ‘prasad‘ at Gangamma Temple in Chintamani area of Chikkaballapura district in Karnataka. The incident took place on Friday night. Police are conductiing an investigation into the incident. Earlier in the day it as reported that district Tehsildar has confirmed that the prasada was given by one of the devotees. The incident comes days after 15 persons died on the evening of December 15 after they consumed ‘prasad’ at Maramma temple. The Maramma temple comes under Kitchalavadi temple trust. During an event, the devotees fell sick after they consumed prasada. A lab test had revealed that it contained insecticide. Later, the Karnataka Police had revealed that the suspected poison was mixed with the prasad to get control over the temple. “This was done to get control over the temple. So far four persons have been arrested. It is suspected that poison was mixed with the prasad,” Sharath Chandra, IGP South Zone, had said. In connection with the case, the police had arrested a local seer, identified as Pattada Immadi Mahadevaswamy.